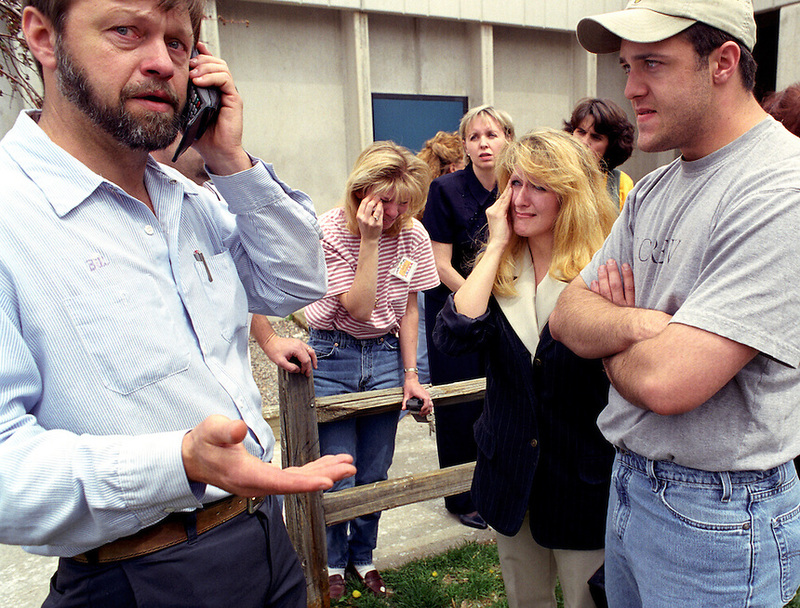 Bill Curry, left, talks on the phone with family after getting word by cell phone that his daughter Kendra and niece Kami had barricaded themselves in a closet with over 20 other students at Columbine High School in Littleton, Colo., during the April 20, 1999, shootings. At center, mother Lorie Curry (right) and an aunt of both girls Janet Olmstead cry at the word that the girls were still in the gun-shattered school. At far right Jason Curry, brother of Kendra waits by their sides..